Cabbage is easy to cook and gives versatile combination to make yummy meals.Flexible to have with any type of Indian dishes,Many of us who do not use Onion in their food alternatively use Cabbage in the place of Onion for its taste.Cabbage curry masala is often made in our regular meals menu, Toothsome taste with rasam or curd rice,this can be directly mixed with plain cooked rice and ghee. Ingredients: spices are added in less amount to give the mild flavour of mutton masala. To Grind:This part is optional above picture i have not added any ground masala. Heat pan with Oil season it with Fennel seeds and curry leaves,Garam masala poweder,add Onion saute well ,add ginger garlic paste and cabbage and saute for 2 minutes . Mix Tomato,Salt and sambar masala powder to cook by adding little water. 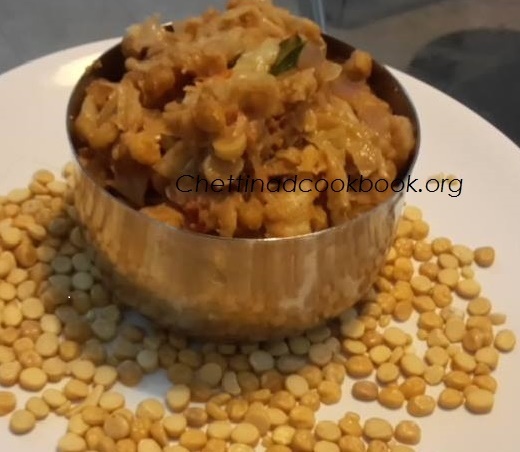 Add ground paste and cooked channa dal to it ,(discharge dal cooked water)cook in low flame for 5 miutes, when cooked perfectly the smell of this masala will reach your nose to tempt in great deal. Ready to serve with cooked rice or roti.